Hi, All! 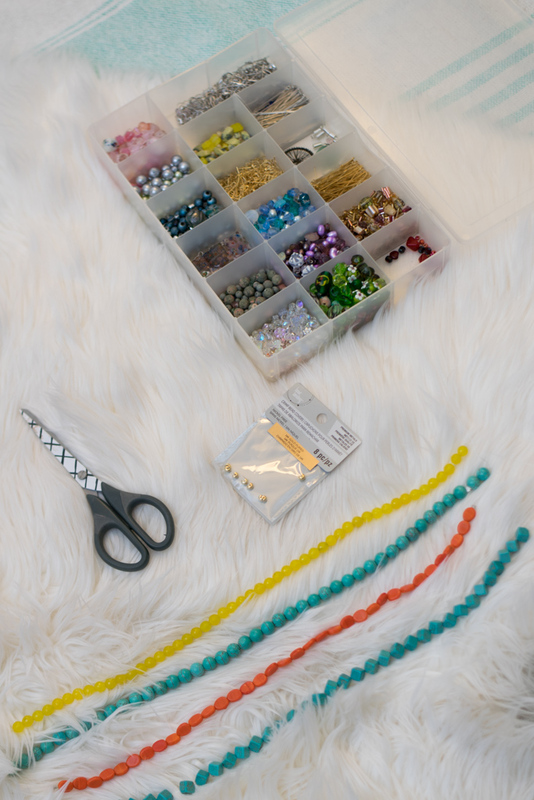 Today I wanted to share with you an affordable DIY project for one of my favorite things: Bracelets! I've been looking everywhere for some new chunky Turquoise Bracelets but every one I found was just crazy overpriced! I knew there had to be a better option than spending $50 dollars on a bracelet. These four bracelets in total cost me under $15! & they're real stone! So they're great quality! 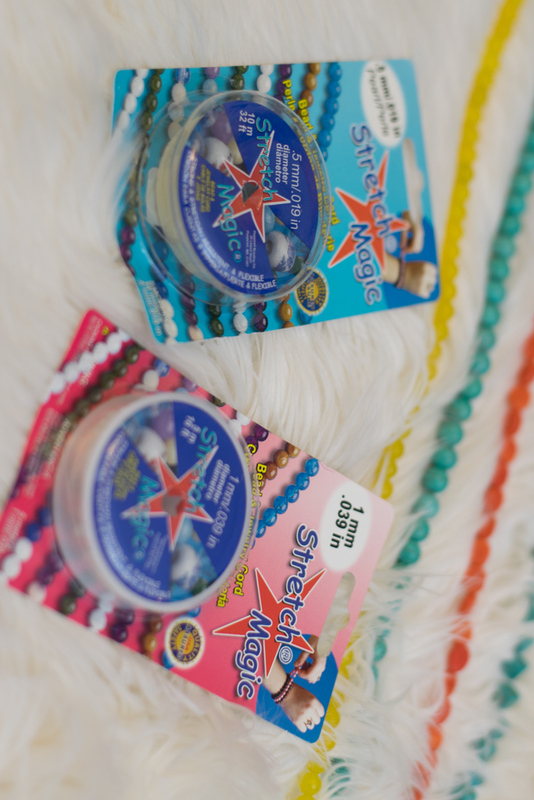 Head to your local craft store & pick out some beads! I went to A.C.Moore and found these three strands of beads which were 3 for $10. This store is a great place to find good deals on beads, they're always having deals & there are always coupons available. I found Michaels to be pretty expensive in comparison as one strand of beads there was $8.99! While I was there I also picked up some clear Stretch Magic, I would suggest getting at least the .7 mm as the thicker it is the stronger it is, I ended up getting the 1mm which I really liked. The only other thing I bought was Bead Crimp Covers in the 14k gold plated. Plan your design! 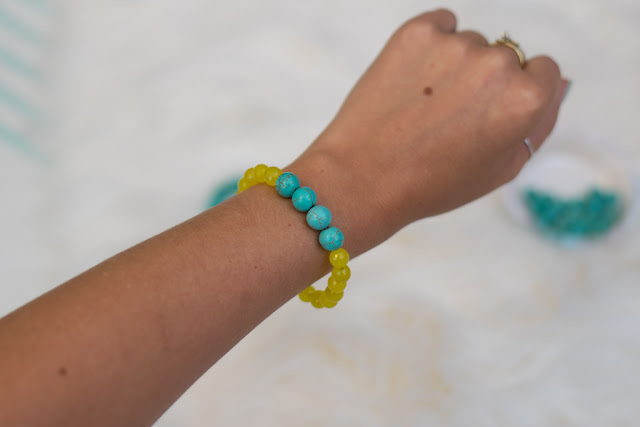 I kept these bracelets very simple as that was the look I was going for but make sure to have a plan before you start! It's really frustrating to have to back track and undo your beading! Cut the length of the string you will need. 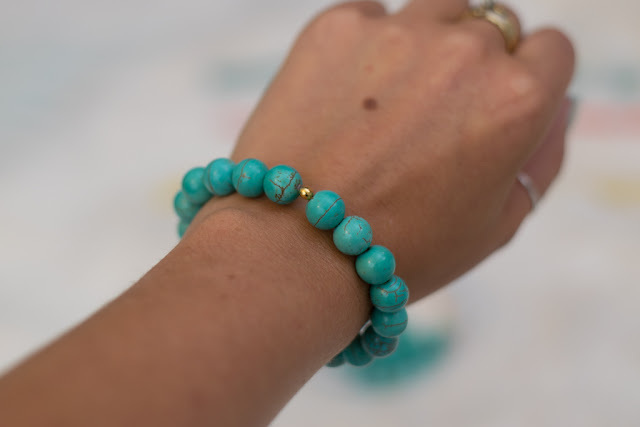 My rule of thumb is to do 2 & 1/2 the length of my bracelet. Don't go crazy and cut a ton of string off because you won't need it! Tape off one end of your string! This is my biggest tip, I swear the worst thing that can happen to you when beading is to have an end slip and all your beads crash to the floor so tape off one end to prevent that disaster! 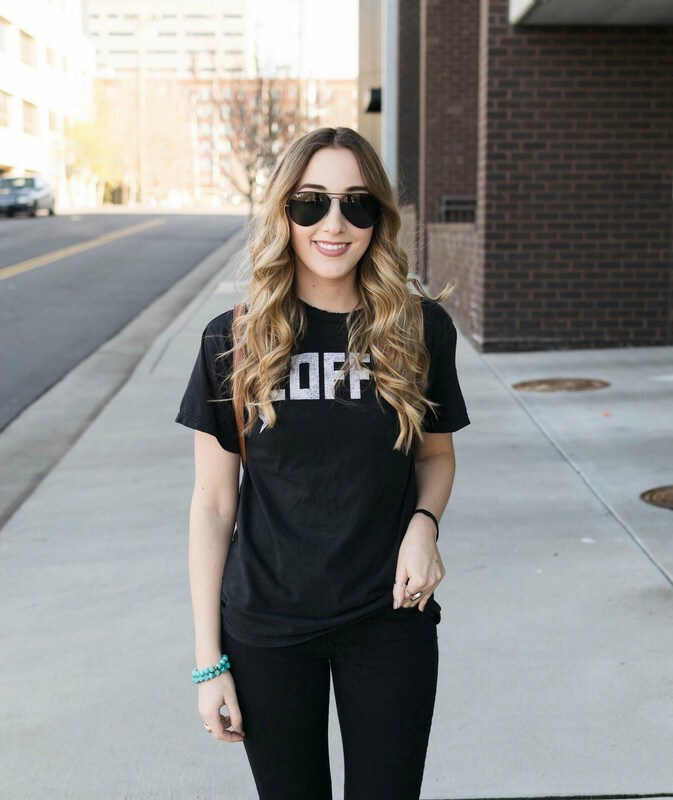 Tie off your bracelet! I always do a double knot & then generally seal it with some clear nail polish, this helps to ensure the knot stays tied. To give the bracelet a more polished look I always add a crimp bead over the knot, that's the little gold bead you see below. 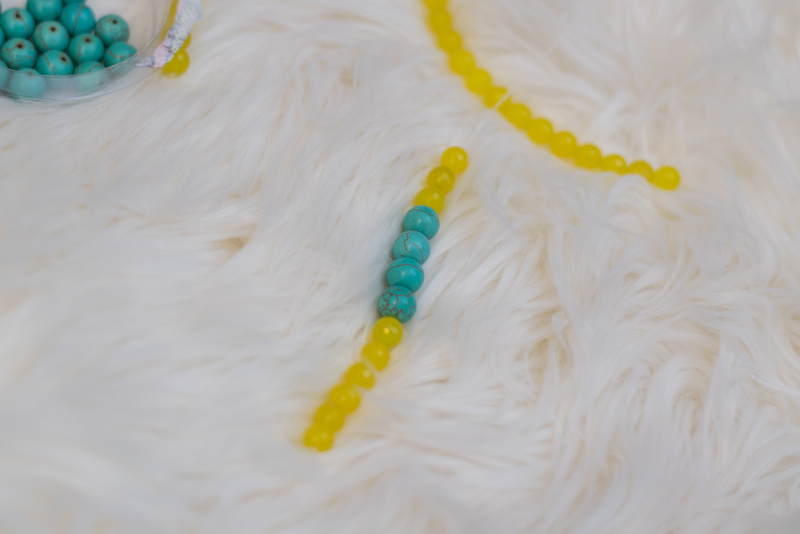 You take the bead which is a U shape, place it over the knot and crimp it down with pliers! If you have any questions let me know! Do you have any DIY projects!? I've never tried the Stretch Magic cording. Now I'm definitely interested to try it out! 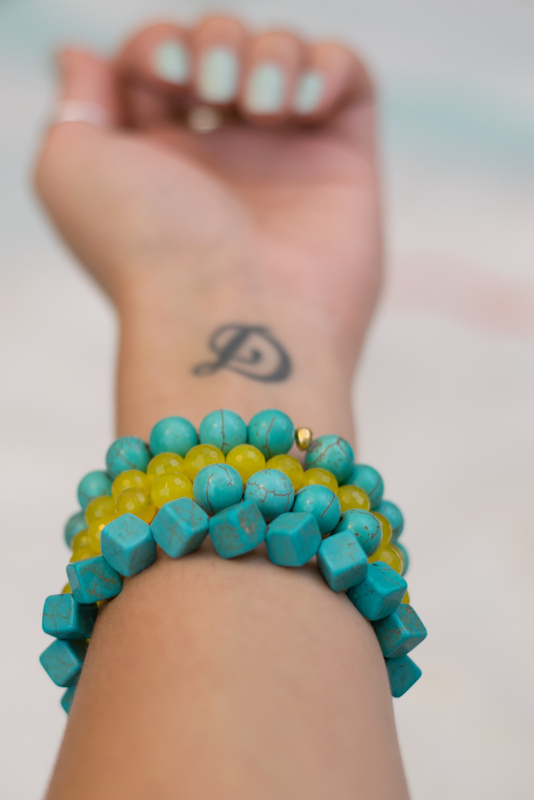 I LOVE the turquoise and yellow together! 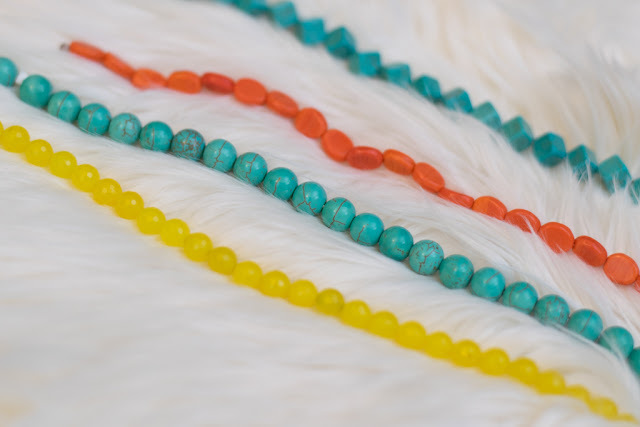 Such a pretty mix of colors and I love that you made them yourself - these beads are stunning! Love these bracelets! I'm not very good at crafty things but this looks like fun. 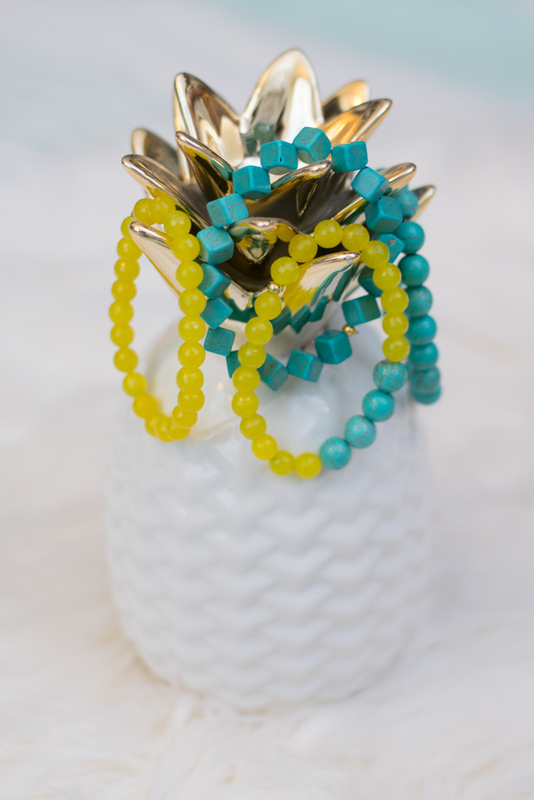 Love these bracelets- they turned out so cute!! Those bracelets are so cute! I love that you made them yourself!! You know I think these are too cute!! Seriously looks just like what all the big jewelry brands are selling for summer. I really want to do more crafting this winter! I love how cute these came out! I knew that bracelets were simple to make, but I always got hung up on how to close off the clasp. Thanks for this post! So cute! Now why is it my DIY jewelry projects NEVER turn out like this? ohh i love it!! 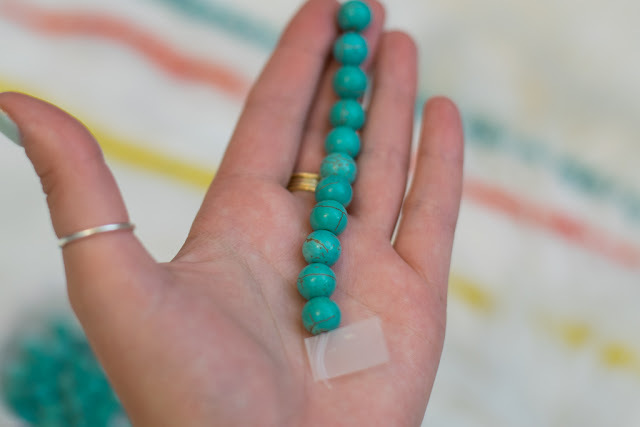 I love turquoise and have been ISO a necklace... but maybe Ill just DIY one! 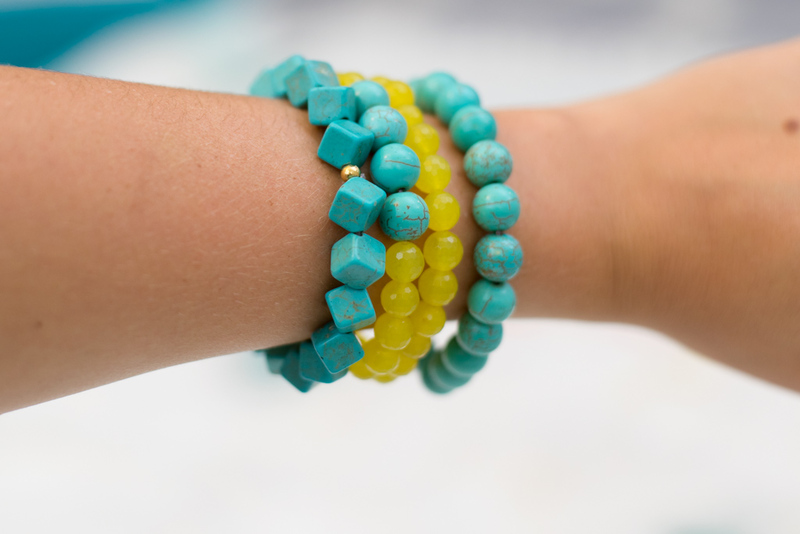 Very cute bracelets! 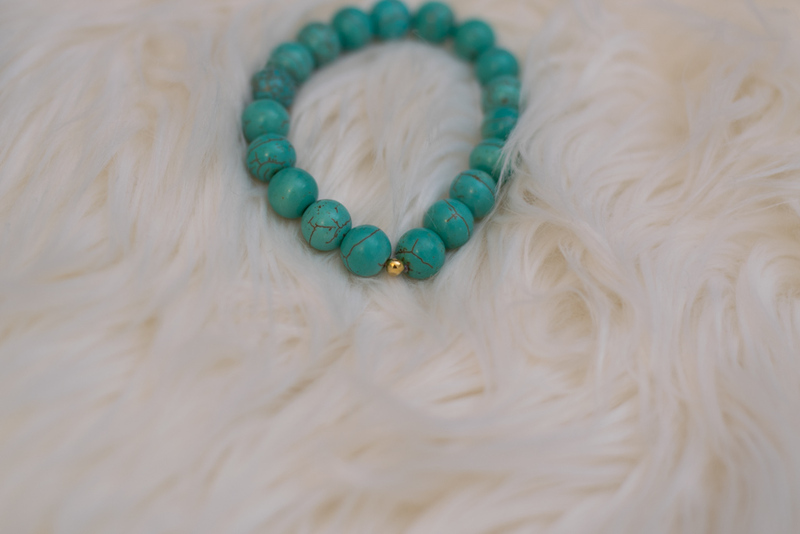 I love the turquoise with the little gold bead! These are so cute! I lovelovelove them! These are soso cute! I love the colors you used! Wow! They are so cute I almost didn't believe they were DIY!